Why is there a Mormon church on the Polytech campus? Hi OP – the building you're talking about is the LDS Polytechnic Institute – https://studentview.lds.org/home.aspx/60964 . Single Mormon adults between the ages of 18 and 30 attend classes at Institutes to learn about Mormonism (and to meet people to date). Non-Mormons are also welcome to attend. I don't spend much time at the Poly campus – but I bet there are other religious buildings serving similar functions nearby. There's a Mormon church on Tempe Campus. Mormons in college are encouraged to take "Institute" which are collegiate level classes on their doctrine. There are churches and chapels of many different faiths and doctrines across many college campuses; but especially among larger, metropolitan universities. There are often "meditation centers" and official non-denominational prayer locations used by muslim and eastern religion / philosophy practitioners; often with foot washing and other accommodations. Most churches or religious buildings are constructed on church owned / leased land and operate separately from the university as a whole but may provide adjunct classes / faculty for religious studies students and academics. Arizona in general and Mesa specifically has large Mormon populations, many of these moved Southeast towards the Queen Creek / San Tan areas in the late 90s / early 00s when land and large homes were cheap and plentiful. Mormons are expected (ostensibly required) to tithe 10% of their gross income. Much of that money is used by local councils to lease / purchase land for church use as well as for philanthropic work and sponsoring foreign studies programs at universities. There are several different denominations churches on the Tempe campus. There's also the Gateway Church that's been there much longer. I'm fairly sure the land was sold or given, or whatever, to the Mormons so it's no longer technically on campus. 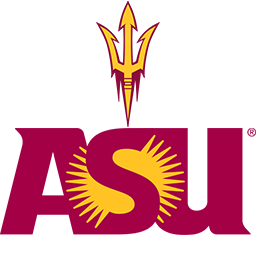 Subreddit for Arizona State University: Home of the Sun Devils! This is a discussion page for all things ASU, covering everything from class questions to innovation memes.